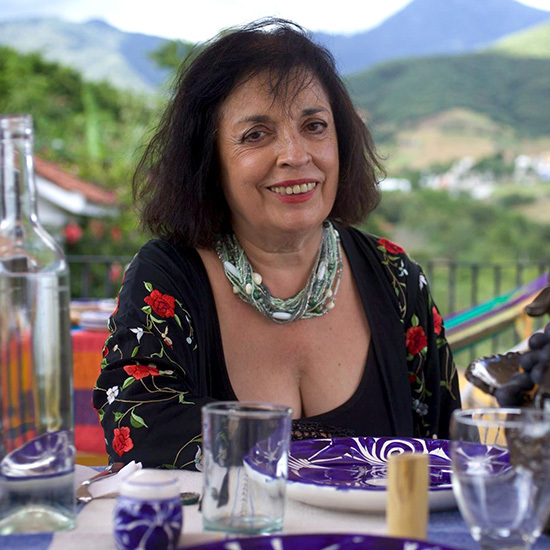 Here, Mexican cooking authority Zarela Martinez shares her rules for a successful career. F&W's #FOODWINEWOMEN series spotlights top women in food and drink in collaboration with Toklas Society. Follow the hashtag on Twitter (@foodandwine). Here, Mexican cooking authority Zarela Martinez shares her rules for a successful career. 1. Develop an identity, your own style, that everyone will identify with you. Lillian Haines, a Beverly Hills caterer my mother hired to teach me about the business, taught me this most important lesson in my career. Guests should know after their first bite at a party that I am catering. The most successful women in the business have distinctive styles—Julia Child, Alice Waters, Paula Wolfert, Martha Stewart, to name a few. It took me several years to perfect my style, which involves layering flavors and textures. Things taste one way at first bite, then the flavors start opening up as you chew, and then they bloom and glow when you swallow. This concept of developing your own style should carry through to all aspects of your career—your books, products and endorsements should reinforce the identity you’ve cultivated. It’s important to stay on message so people know what you stand for. 2. Develop a career plan with an ultimate objective, but in the meantime set small, attainable goals and take calculated risks to learn what works best and to build confidence. I met chef Paul Prudhomme in February 1981, and two months later I made my debut at Tavern on the Green. I had no training and knew little, but my mother urged me to seize the opportunity, and she offered (actually insisted!) to come along to do the cooking. I got all the credit. It was heady business. Paul was already a mega-star, and I knew that was what I wanted to be. Nevertheless, when I went back to my little catering business in El Paso, Texas, I wrote down everything I wanted to achieve: I wanted to open a restaurant, to write a book, to have a television series, to produce a line of products and to leave a legacy. I eventually did all that, but I had to overcome many obstacles on the way. Having a clear vision and plan made it much easier. 3. Surround yourself with good people. Explain your employees' jobs thoroughly to them, tell them what you expect of them, train them well and then let them get to work. Always praise and compensate them for any extra work you ask them to do. Follow the chain of command, and never forget that respect and dignity are of utmost importance to most workers. The majority of my kitchen employees were with me for 20 years or more. 4. I cannot emphasize enough the importance of being informed—not only of developments in your field, but also about current events, the economy and trends, among other subjects. This will help you make good business decisions and achieve success. Many people in the food business tend to talk only about food-related issues. To me, frankly, that’s boring. Conversation is very important in taking measure and communicating with a possible business partner, customers and the press,and in getting your essence and message across to the world. 5. Send handwritten thank-you notes to everyone for everything they do for you. You might think that I am exaggerating when I say that I credit much of my success to this lifelong habit, but people always remembered and were willing to help me because I sent them personalized notes. That was just one lesson I learned regarding the importance of manners in business. Others included being well groomed, having good table manners, being punctual and honoring your word. Doing those things say more than any words you might speak.